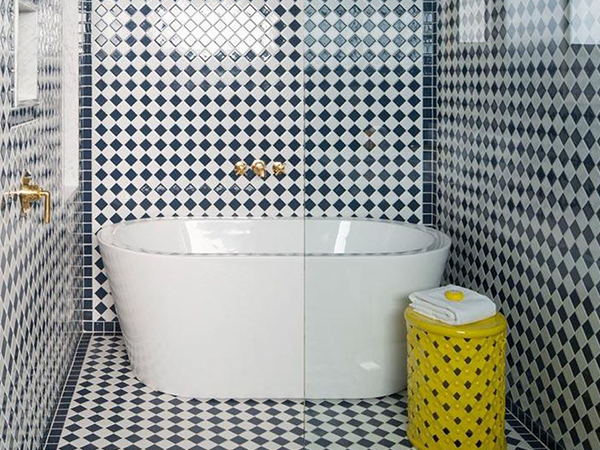 Reborn as a Moroccan paradise. 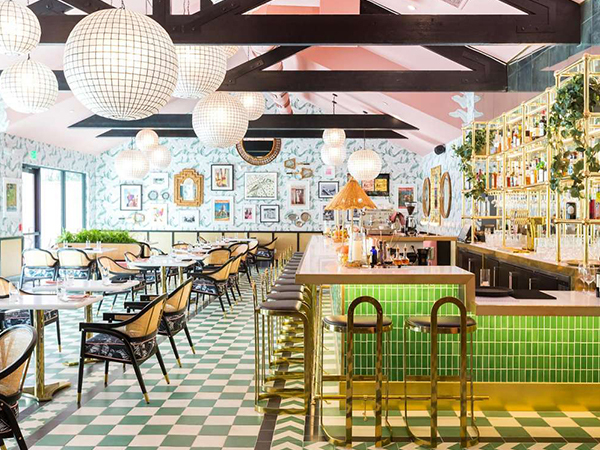 Come for the Instagram moment, stay for the remarkable hospitality of Palm Springs’ best new hotels. 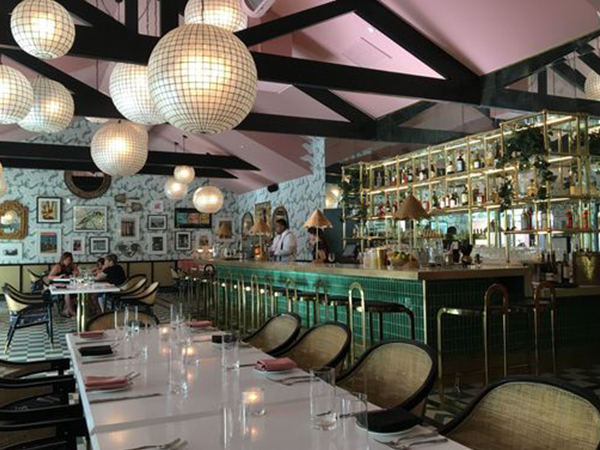 The cocktail program is ingredient driven with a handpicked wine list to enhance the food. 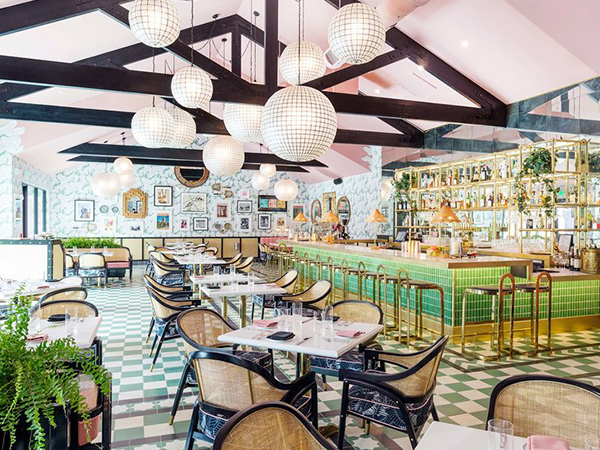 There’s classic cocktails like a mojito, an old fashioned and a colada, but all with unique ingredients and surprises. 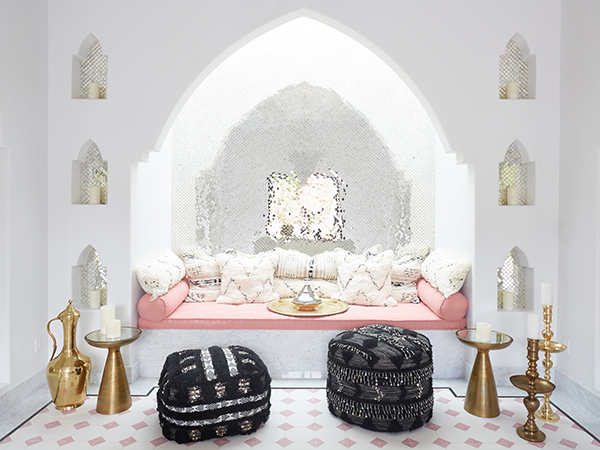 Take in the Moroccan-inspired patterns throughout the 46 guest rooms, pool area and Mediterranean-driven The Pink Cabana restaurant. 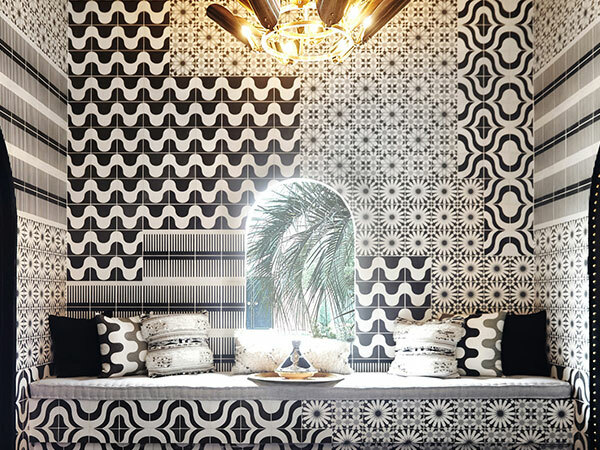 The feeling is a perfect blend of Morocco and mid-century, with black, white and glass detailing plus jewel tones. 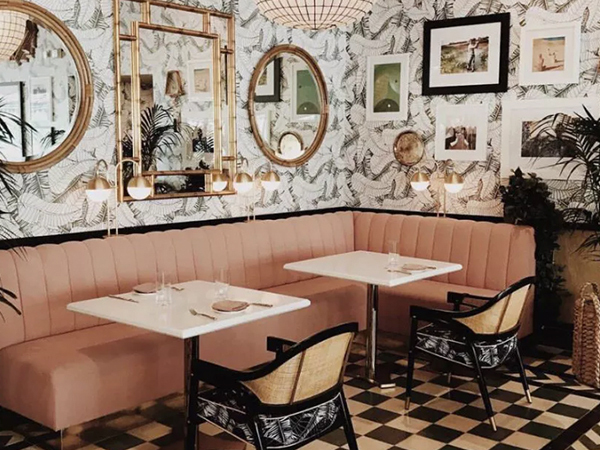 The iconic California chef is headed to the Sands Hotel & Spa for an exclusive dinner in collaboration with chef Jason Niederkorn. 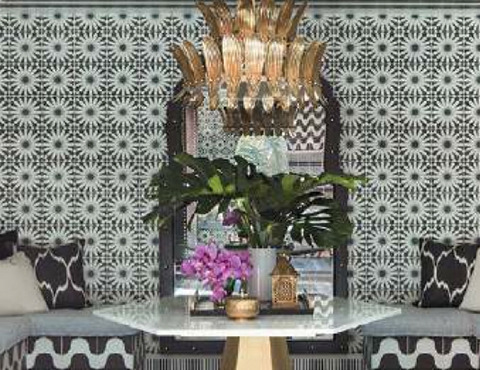 Besides offering luxurious, well-appointed suites, Sands has a fabulous pool deck and pool cabana restaurant, and a Moroccan Spa that’s next-level. 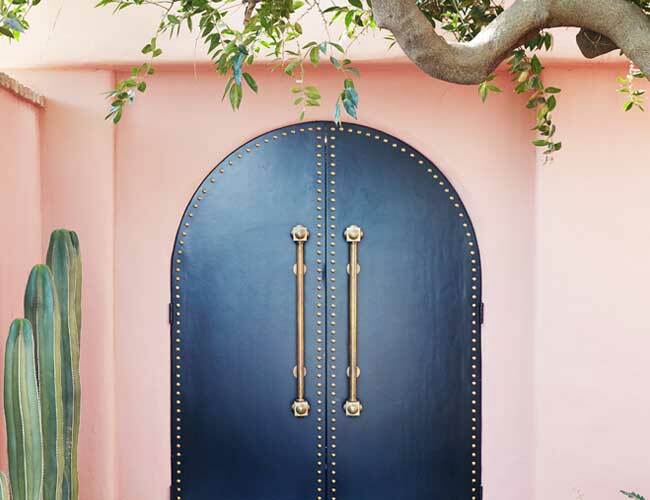 A pastel-pink oasis bursting out of the parched desert, the Sands Hotel offers the chance to stay in that rarest of destinations: the past. 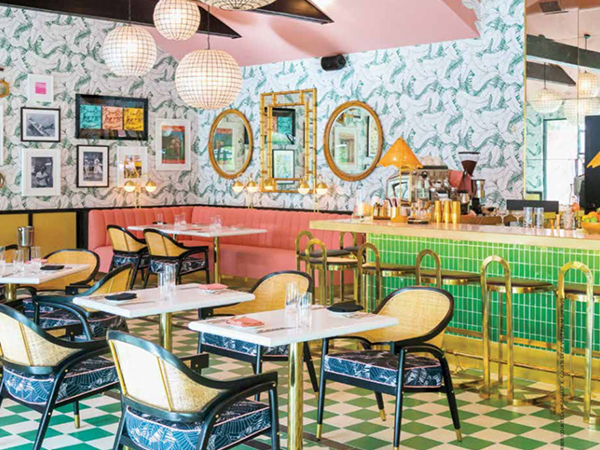 For the Pink Cabana at the Sands Hotel in Indian Wells, California, Martyn Lawrence Bullard combined a mélange of Moroccan, midcentury and preppy motifs to create an eclectic, old-school country-club vibe. 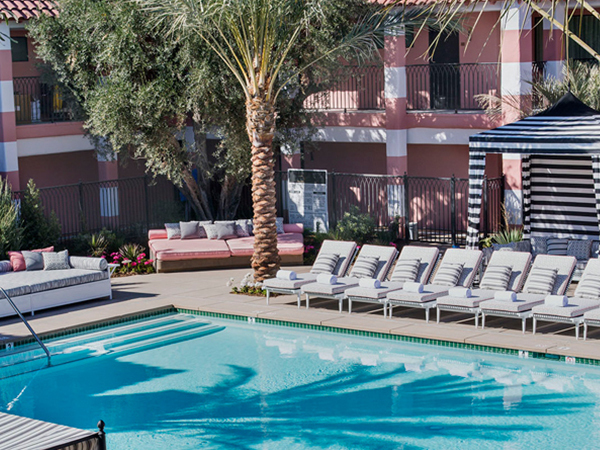 “It’s hard not to relax at this wellness resort and spa in Desert Hot Springs. The Sands extends the line of ring-a-ding-ding desert cool to the deeper end of the Coachella Valley. 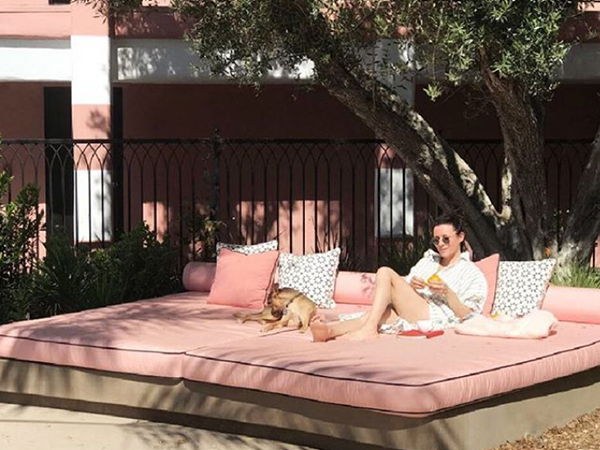 I think we all need giant pink day beds in our lives. Next to a giant pool. 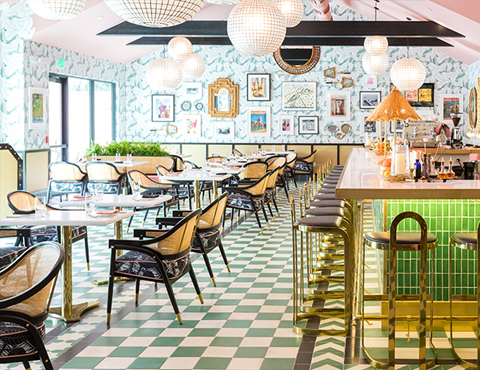 This is the @sandshotelspa – a new hotel that’s so awesome for a getaway. 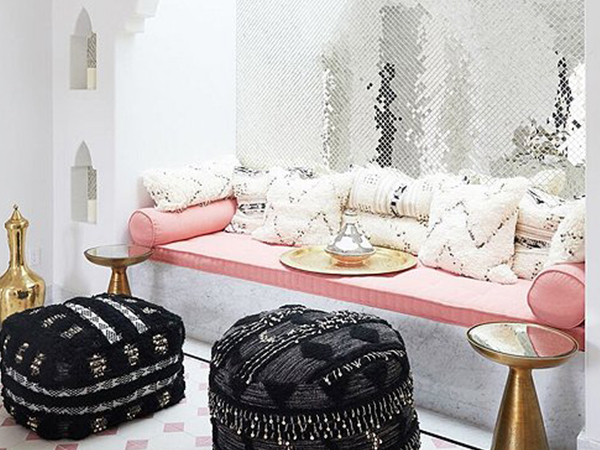 Pink walls, Moroccan flair, photographs of leisurely desert days gone by—these are just a few of the elements Martyn incorporated throughout the property, most notably in its on-site restaurant, the Pink Cabana. 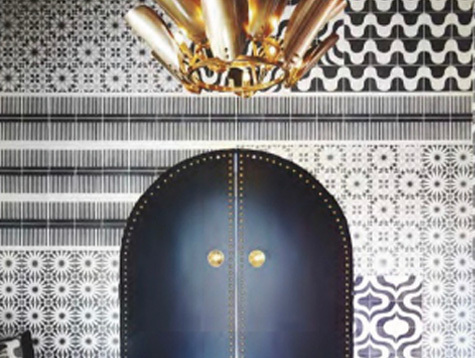 The 46-room boutique hotel is the first of its kind in the charming desert community and has everything going for it. 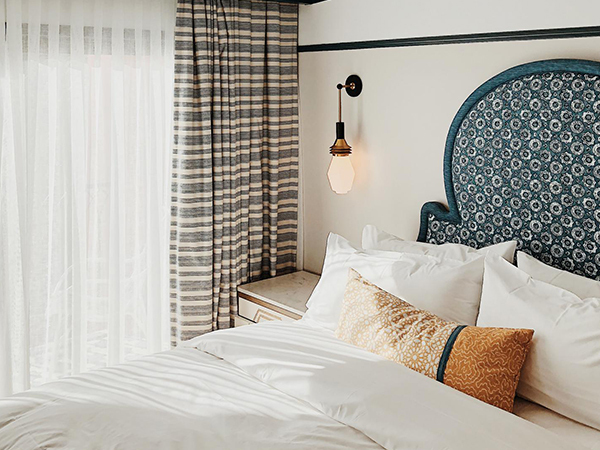 Now, those making like a Golden Age star and heading out to the desert for a weekend away will have one more Instagram-worthy resort to choose from with the recently debuted Sands Hotel & Spa. 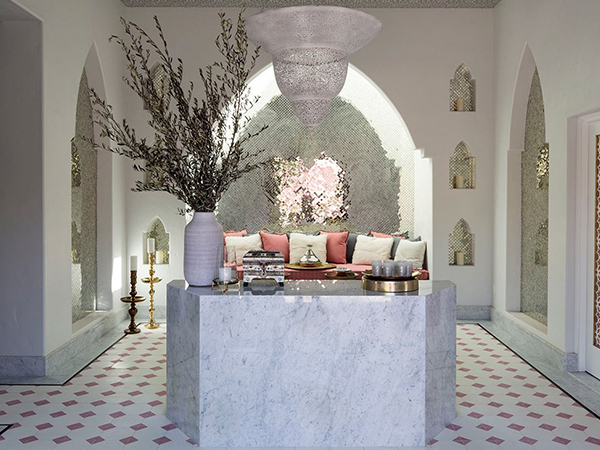 Along with its stunning style, the spa experience is truly an authentic one built on the Moorish focus of the property and the spa. 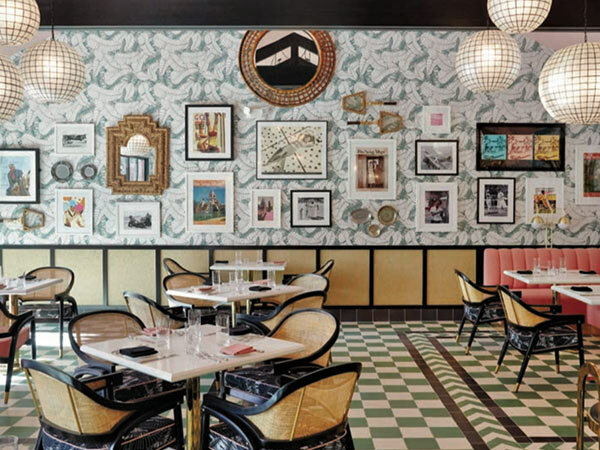 This all-day gem at the new Sands Hotel in Indian Wells boasts a gold-accented bar, palm-patterned wallpaper, retro photography, and cocktails worthy of your Instagram feed. 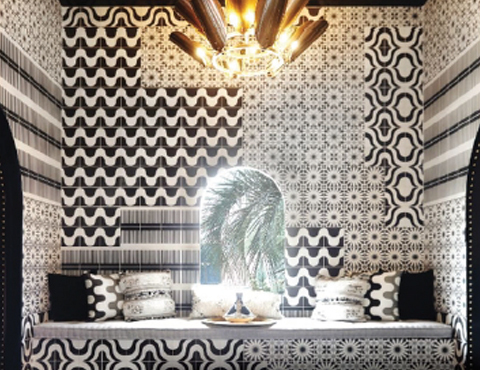 Los Angeles interior designer Martyn Lawrence Bullard’s hotel renovations tend to follow a pattern — or, rather, dazzling patterns, created by bold colors and Moroccan-influenced textiles and tiles. 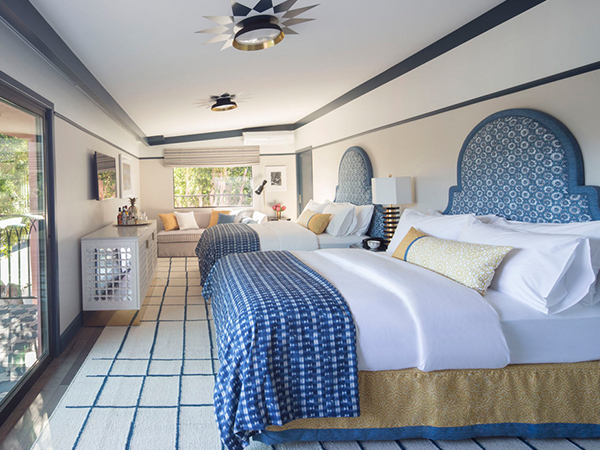 Indian Wells is home to what may be the region’s buzziest new retreat: Sands Hotel & Spa. 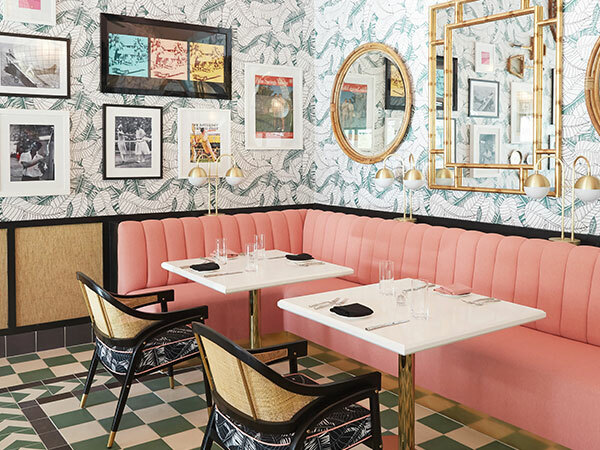 One of desert’s hottest restaurants to open in 2018, Pink Cabana attracts diners not just for its food, but also its delightful pastel brasserie-style interior.